During the last decade, the term evolution began to spread rapidly into the world of economics. Especially here in Japan, the new stream of “evolutionary economics” becomes increasingly trendy replacing formalistic, static neoclassical economics as well as dogmatic, obsolete Marxian economics, which had been dividing up the academic world for such long time1. It seems, however, there is no consensus among economists about the exact meaning of evolution, except that it refers to change in or development of the economic process in terms of selection, fitness, adaptation, mutation, and so on. In my view, the ambiguity of the concept is inevitable, since is not always semantically univocal even among biologists, as, for example, the controversy between R. Dawkins and S. J. Gould shows. In field of social philosophy, my area of specialization, the situation created by the use of this term is far more complicated, because the questions raised not only touch upon epistemological aspects, but also ethical ones as well. What kinds of social policy should be adopted in view of evolutionary economics? 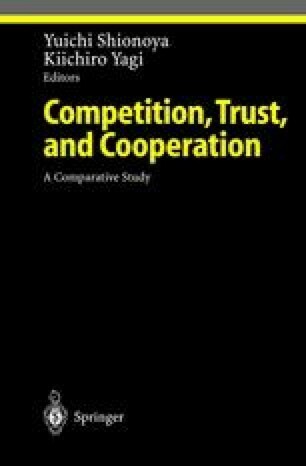 How does this concept relate to other important concepts, such as competition, corporation, or monopoly? In order to discuss these questions in a broad manner, I would like to begin this paper by reviewing the controversies that ranged from the last half of the 19th to the early 20th century, when the concept of social evolution first emerged and entailed serious issues, along with aporias, about the relationship between the nature of evolution and social policy both in Europe and East Asia, focusing particularly on China and Japan. Next, I will survey the new situation that has arisen since in the 1970’s, where new biological-oriented social theories began to appear in the Anglo-American world and in Japan. In conclusion, I would like to point out that in spite of epistemological discontinuity between these two periods, the aporias regarding the relationship between social evolution and social ethics still remains unsettled, and in order to reflect on these aporias, we have to go beyond evolutionary social science and to an ethico-philosopical way of thinking.